The cryptocurrency market finished a solid week on a low-key note on Friday, with most major currencies trading down less than 1 percent on the day. On Tuesday, Circle and Coinbase announced they’re forming a joint venture called the CENTRE Consortium that will set up standards for digital listings of fiat currencies. The goal of the project is to facilitate the mainstream adoption of “stablecoins,” cryptocurrencies tied to government currencies. On Thursday, CNBC Africa Crypto Trader show host and cryptocurrency trader Ran Neuner tweeted that cryptocurrency exchange and digital wallet company Coinbase is preparing for an initial public offering. Coinbase is reportedly valued at around $8 billion and has 25 million users and 600,000 active traders. According to an infographic Neuner tweeted, Coinbase generated $90 million in revenue in Q3. 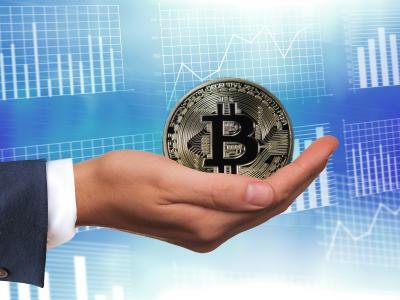 The Bitcoin Investment Trust (OTC: GBTC) traded at $6.99, down 0.8 percent for the week. Here’s how several top crypto investments fared this week. Prices are as of 4:00 p.m. ET and reflect the previous seven days. EOS gained 0.5 percent to $5.37. Happycoin: $20.0-million market cap, 353.0-percent gain. Atmos: $3.2-million market cap, 171.3-percent gain. Nimiq: $5.8-million market cap, 139.1-percent gain. Bitcoin Interest: $14.4-million market cap, 43.7-percent decline. Blockpool: $1.1-million market cap, 37.9-percent decline. FedoraCoin: $1.4-million market cap, 32.9-percent decline.